Professional MediTech Bio-Flex applicators for clinical and mobile treatment. We acquired our first laser in 1991 and have applied laser acupuncture for over 25 years using the British/American leader in cold laser applications, the THOR Laser Therapy system. Acupuncture treatments for acute and chronic pain…no needles! Patients continue to be surprised at the immediate impact of low level laser therapy (LLLT) on acute and chronic pain. It’s NOT, as others do advertise LED, or even LCD; just pure LASER (4 available in fact). Also in clinic, the Canadian Medx Series Laser for specific hand, wrist and elbow conditions; such as ‘tennis, anglers’ or golfers’ tendinitis. As a deep anti-inflammatory, laser differs from ultrasound, interferential and common medications due to it’s specificity of treatment. Whether deep, osteoarthritic knee or hip pain or chronic elbow tendinitis; the laser affects the cellular metabolism of the tissue that it is programmed to treat. That’s right; the laser applies the appropriate wavelength of light relative to the actual depth of the injured tissue ! 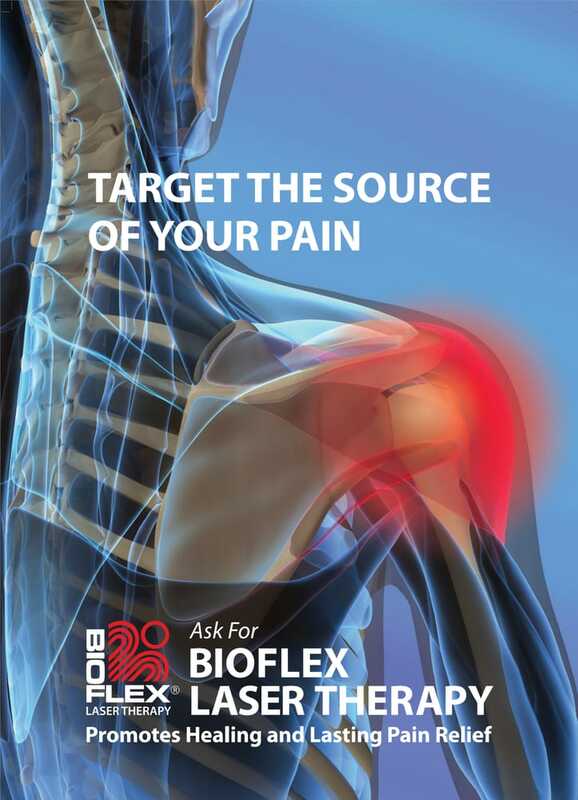 As it penetrates the specific tissue, bone, joint, muscle or nerve; it enhances protein synthesis and allows tissue to accommodate to the injured site. Thereby, making the healing process easier and faster ! computer equipment and limiting the medical product waste by using the “reusable” energy source of laser at our Concourse Physiotherapy clinic. Thereby, reducing our detergent use and garbage tonnage of paper products.